On 26 July 2018, eight months after the last elections in Somaliland, in which UNPO participated at the observation mission, the electoral commission gathered in Hargeisa to discuss the aftermath of the elections. According to Dr Michael Walls, the mission’s Chief Observer, the elections successfully made use of new technologies. He furthermore applauded the participation of Somaliland’s easternmost regions. Recommendations for the next elections include strengthening legal election-supervising bodies, the timely update of voter registers and more transparency in the electoral process. Following the London unveiling in March, the international election observation mission (IEOM) will revisit its final report, ‘The Limits of Consensus?’, in Somaliland with an event at Ambassador Hotel, Hargeisa on Thursday 26th July at 10am. 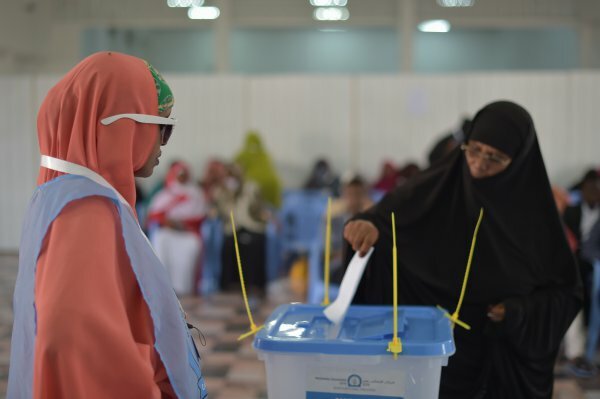 Eight months on from polling day, the event provides an opportunity to reflect on the poll and aftermath, and on implications for the next step in Somaliland’s political journey—the long-delayed parliamentary elections, scheduled for March 2019. The poll on 13 November 2017 assembled 60 observers from 27 countries at the invitation of Somaliland’s National Electoral Commission. The IEOM observed 355 polling stations (22% of the total), across all six regions of Somaliland and 17 of the 21 districts. That number and coverage compares positively with similar missions in other countries. The mission reported a largely peaceful and well-organised polling day in areas observed, albeit with some irregularities, though not of sufficient scale to have impacted the final result. However, the post-poll landscape was marked by delays in counting votes and the premature and illegal release of informal results by each of the largest two parties. This encouraged an atmosphere of rumour and contention, leading to violence and several deaths before results were formally declared in late November and the new president was inaugurated in December. The IEOM closes “The Limits of Consensus?” with a number of recommendations, including: strengthening legal bodies supervising campaigns and elections (especially formal dispute procedures); timely updating of the voter register; improvements to civic education and training for polling staff, political parties and voters; better transparency around the electoral process; that political parties use formal dispute resolution structures, improve female representation and refrain from inflammatory campaigning; legislation to ensure freedom of expression; more state funding for elections; and campaign spending limits for political parties. The election, Somaliland’s third presidential poll and sixth election overall, saw Muse Bihi Abdi of the Kulmiye party defeat rival candidates from the Waddani and UCID parties. With 55% of the vote, Muse succeeded the retiring incumbent, Ahmed Mohamed Mohamoud ‘Silanyo’, also of Kulmiye. The IEOM, which was funded by the British government, was led by the Development Planning Unit at University College London, and Somaliland Focus (UK), and project managed by UCL Consultants. For media information, please contact Conrad Heine (IEOM Media Coordinator) at ieosomalilandmedia@gmail.com. The mission and report are online at www.somalilandfocus.org.uk, @SomalilandFocus and facebook.com/EOMSomaliland2017. Somaliland declared unilateral independence from Somalia in 1991 following the collapse of Somalia’s government. It remains internationally unrecognised.